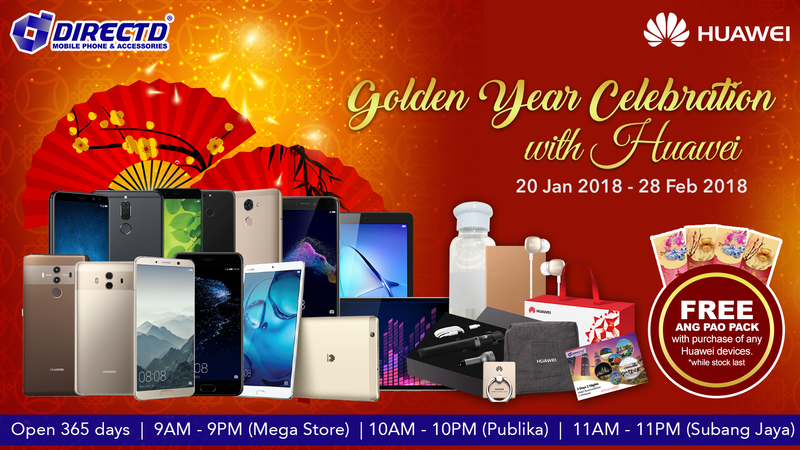 Golden Year Celebration with Huawei! # Free Ang Pao pack with purchase of any Huawei smartphones or tablets! # 10 models in the list to choose from! 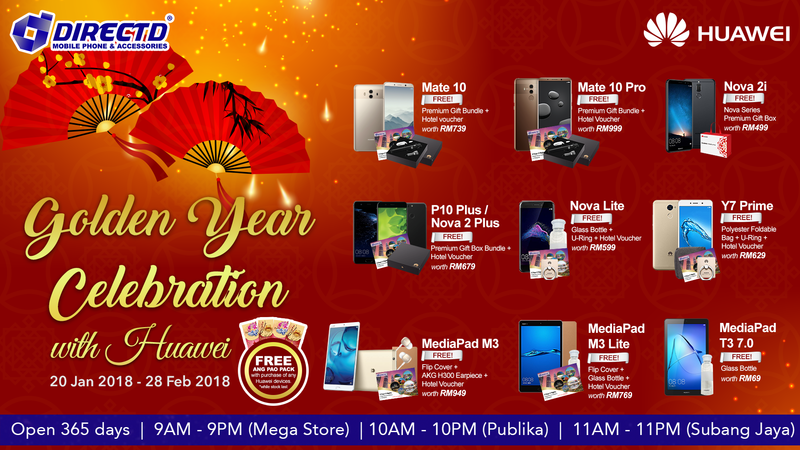 # Bring home free gifts worth up to RM999! * Terms and conditions apply. Free Ang Pow pack and all free gifts are while stock last. Please consult our salesman prior to the purchase.